I hope you like the new header, which I think better illustrates the blog title. The Campanulas generally were often cultivated in the potager in France for their roots, and the leaves were used in salads. According to Richard Mabey, the wild Rampion, a biennial, was used in the same way, which has now made the plant very rare in Britain, so it doesn’t seem to have been widely cultivated there. He says that the fleshy parsnip-like roots were chopped, boiled, and served with vinegar (rather like15th century soggy chips, I suppose). I’m just thinking that ‘Parsnip, Parsnip, let down your hair’ doesn’t sound so good. I found this flower hard to identify because there are so many similar species which differ in the degree of branching of the stem (this is branched, C. rapunculoides and persicifolia are not), the exact size and orientation of the flower and the size of the sepals. 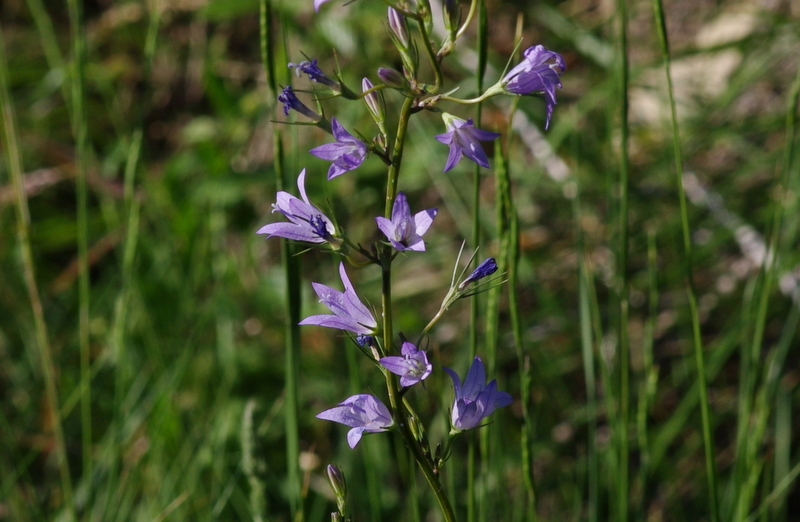 There are at least 500 species of Campanula. It is difficult to imagine how a botanist can see such variety and not think of how small variations can accumulate to result in new species – an illustration of Darwin’s gradualist model of evolution. Nowadays we know that climate changes, catastophes such as meteor strikes and changes in other flora and fauna can produce rapid and striking evolutionary change with many entirely new species arising (known as radiation): this is Stephen Jay Gould’s theory of punctuated equilibrium, to which I’ll no doubt return. 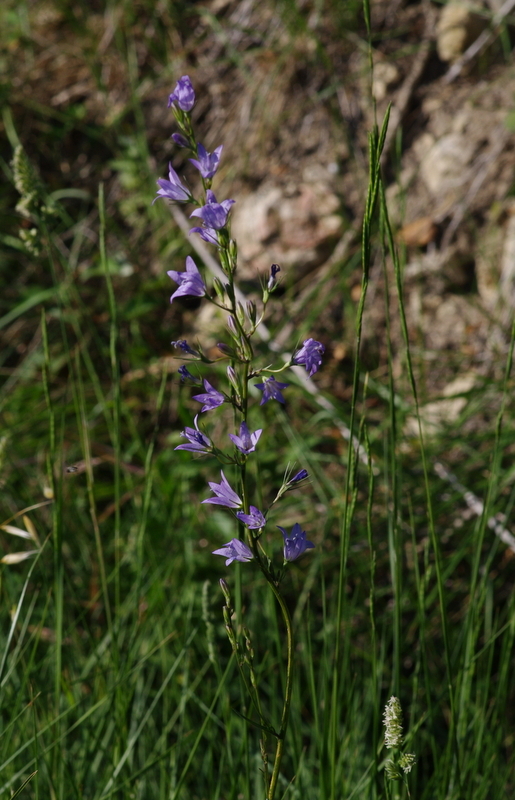 But for now, the varieties of the Campanulas are a reminder to me of Darwin. Now for a earful of blues. I thought it was about time I found something more obviously based on the blues chord changes, and this fits the bill. It’s.the Thelonious Monk Quartet and Blue Monk, for no other real reason that I like it and a friend recently reminded me of it (what he really said was, ‘you know that Monk tune that goes Dah dee di dah, dah dee di dah?’). Next, we interrupt this series to bring you another series: Any list will get boring if it goes on too long, so I’m going to mix it up with a few posts on early naturalists and jazz bass players: the bassics of botany. I’m starting with Asclepius – OK he’s a god, and neither a botanist or a bassist, but anyway…..